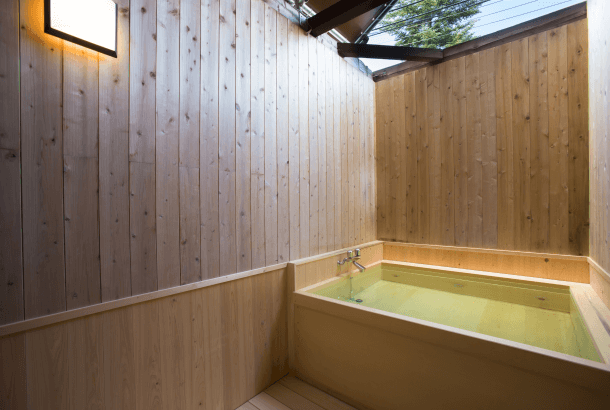 Men’s bathhouse, with sauna, has renewed recently and open-air bath has fragrance of cypress. In shampoo bar in women’s bathhouse, we offer 5 types of high-grade shampoo and conditioners. We also offer Holistic Cure Dryer, which make hair shiny and silky. We also offer private Cypress open-air bath. Enjoy the fresh air of the highland. There are shampoo, conditioner and body soap in washing place. There are cotton swab, hand soap, dryers (3 each in both men and women’s room) in changing room. 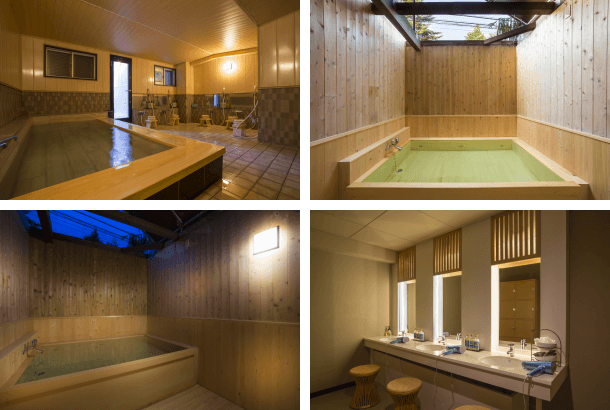 Men’s bathhouse has Cypress open-air bath and public bath with sauna. 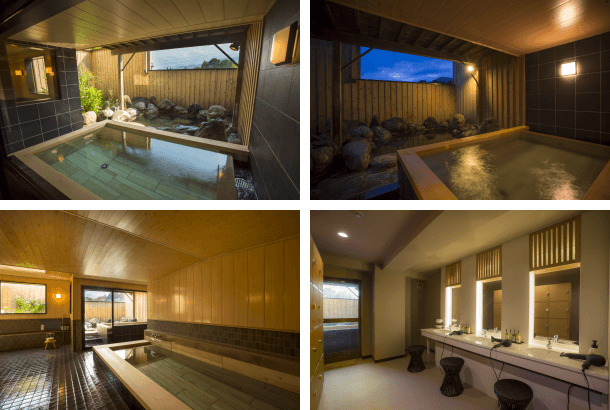 Women’s bathhouse has the Northern Alps side open-air bath and public rock bath. For security reason, the open hours of bathhouse are 3 p.m. to 11 p.m. in the morning and 6 a.m. to 9 a.m. in the afternoon. Shaver, hair brush, toothbrush set, towel, bath towel and yukata are in guest room. 3 p.m. to 11 p.m., 6a.m. to 9 a.m. Copyright ©2019 HOTEL HAKUBA BERGHAUS all rights reserved.